Anyone who wants to fulfill their dream of owning property, in most cases, needs a mortgage. With the current interest rate, long-term mortgages are particularly interesting for homeowners. 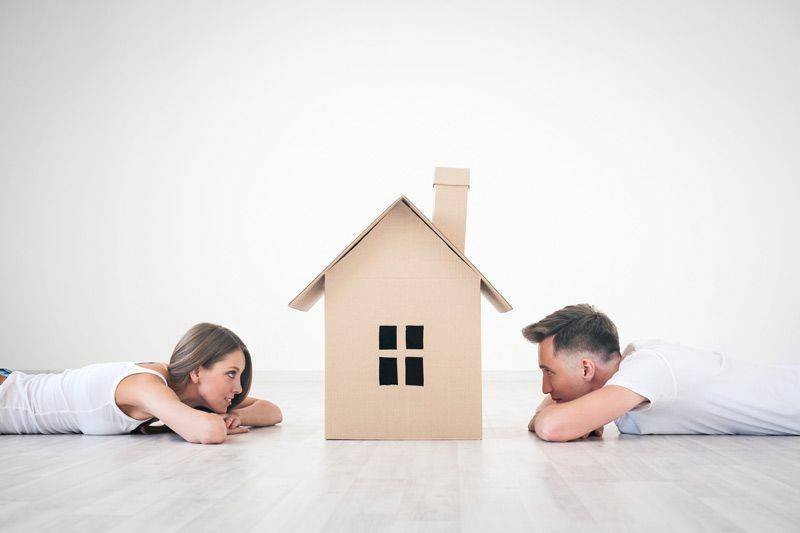 In order to hedge mortgages with a short-term and variable rate against rising interest rates, however, banks also offer the option of making a swap mortgage. But this sophisticated model is not suitable for every mortgage owner. Make an appointment with MoneyPark today to see whether this form of mortgage is right for you. How Does a Swap Mortgage Work? In principle, a swap mortgage is a LIBOR mortgage. Its interest rate is based on the LIBOR (London Interbank Offered Rate), to which money is borrowed from large banks. The term is limited to 2 to 5 years and every 3 to 6 months the interest rate is adjusted to the current LIBOR rate. Added to this is a margin for the bank. Compared to long-term fixed-rate mortgages, short-term money market mortgages are often more favourable, but they are subject to the risk that the costs will rise as interest rates rise. On the other hand, the swap mortgage is intended to hedge; legally, this is a separate business. The swap means that the mortgage holder and bank exchange the interest rate for the agreed period. The mortgage holder pays a fixed interest rate but receives the current LIBOR rate in return. If the LIBOR is below the agreed interest rate, the mortgage holder pays the difference. If the LIBOR is above this, the mortgage holder receives the difference. According to this model of operation, a swap mortgage offers several advantages over a regular fixed-rate mortgage. The overall package is cheaper, for example, since the calculation basis for the interest rates is dependent on the money market and is not based on bank refinancing rates. On the other hand, this type of mortgage is more flexible. Because the interest rate swap has been concluded independently of the basic LIBOR mortgage, it can also be terminated, shortened or extended at any time. In addition, swap mortgages are offered with significantly longer maturities compared to fixed-rate mortgages - 30 to 40 years is possible. Such forms of financing are particularly interesting for larger properties. As a result, the minimum volume of a swap mortgage is around 2 to 3 million Swiss francs, which is well above the current average price for residential property on the market. In addition, the borrower must take some risks. The bank only grants the interest rate credit if the LIBOR basis is positive. If he falls into the minus range, the mortgage holder must pay a corresponding interest surcharge to the bank. This makes the mortgage loan more expensive. An additional charge is also threatened if the underlying LIBOR mortgage needs to be adjusted and the bank increases the margin. There is also a so-called counter-party risk—if the bank becomes insolvent, the interest rate hedge is canceled. The swap mortgage also does not offer any advantages for tax purposes. Only the expenses for the actual interest of the LIBOR mortgage can be deducted. A swap mortgage is a relatively complicated financial instrument. In addition to the basic LIBOR mortgage, the interest rate swap also provides an additional hedge that is separate from the underlying transaction and represents a separate business transaction. Due to the interest exchange, this mortgage model at first glance looks like a cheap fixed mortgage but also carries some risks. You should be very clear about this before you graduate, otherwise, the swap mortgage could ultimately cost more than a fixed mortgage. By consulting with MoneyPark, you can avoid unpleasant surprises when financing your property. Together with you, we determine the optimal mortgage strategy and determine whether a swap mortgage meets your needs.